4k00:06Funny scene of a monkey blowing out smoke in the jungle. Interesting animal smoking in the trees. 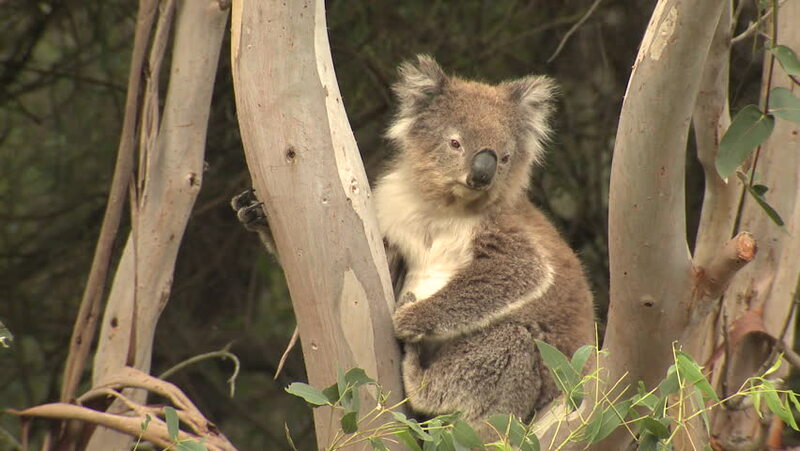 hd00:20Adult koala bear turning head and looking around while perched on tree. hd00:33Koala by itself in a tree.